Wet n Wild's Color Icon Eyeshadow 10 Pan Palette is powerfully pigmented, buttery-soft and glides on like a dream. The reformulated color icon hues come in a mix of coveted colors, from shimmery daytime hues to sultry shades for cocktail hours-including new matte transitional shades for impeccable blending. What else you need to know: Wet N Wild is Peta-certified, cruelty-free brand! Not 100% of the products are vegan, but the brand is striving towards making them all vegan friendly. If a product is not listed as vegan, it is not considered vegan. Explore the entire range of Eye Shadow available on Nykaa. 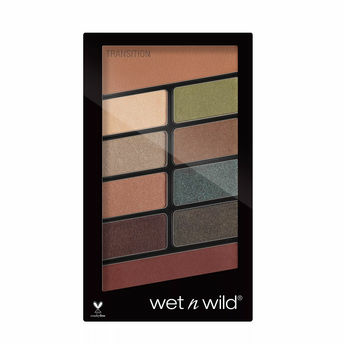 Shop more Wet n Wild products here.You can browse through the complete world of Wet n Wild Eye Shadow .Alternatively, you can also find many more products from the Wet n Wild Color Icon Eyeshadow 10 Pan Palette range.